Riswana here with you today. 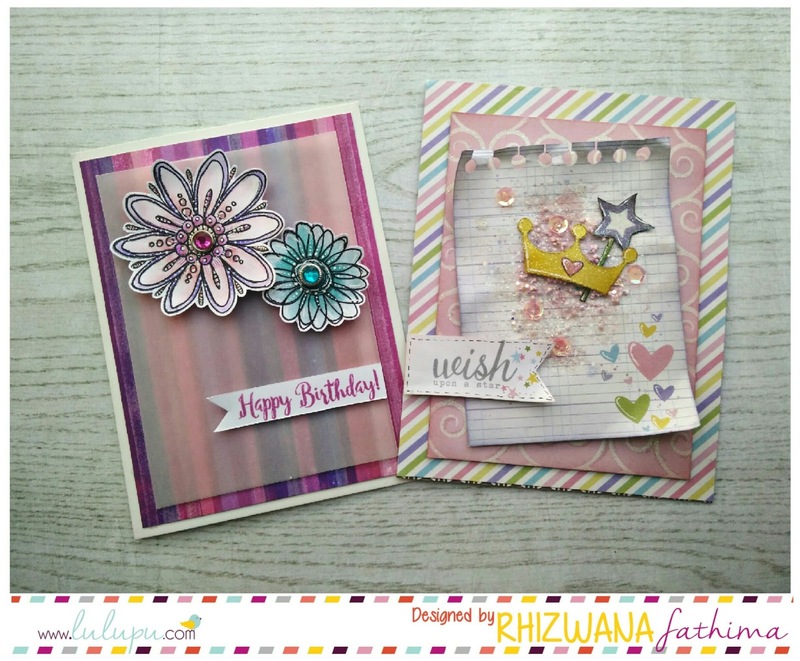 Am so excited to be sharing my first DT post on the Lulupu blog.! Did you check the new Challenge #63 - Sketch for this month?! Here's my take on the beautiful sketch by Sindhu. I've used a regular paper punch to add some holes & fussy cut to make the PP look like a notepad paper & crushed a little bit to add some texture. 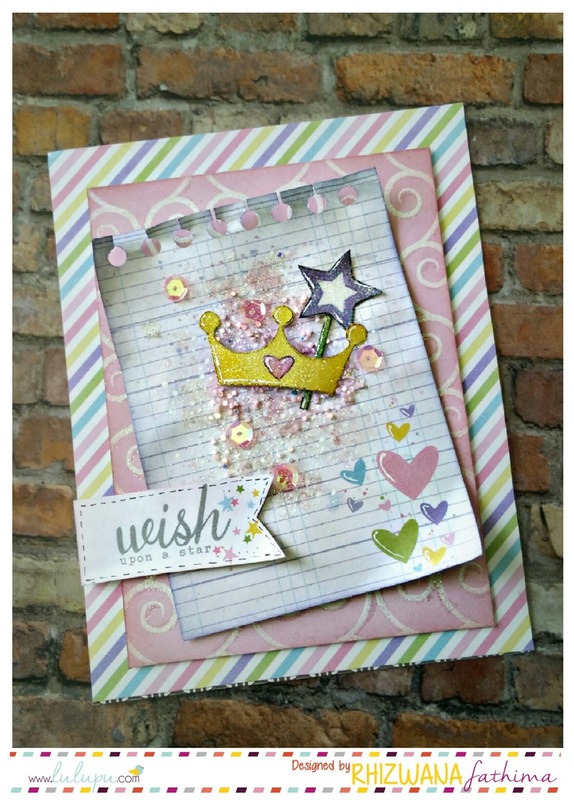 To make the focal point, Added some glass bead glitter gel & sprinkled some pink micro beads on the bg. 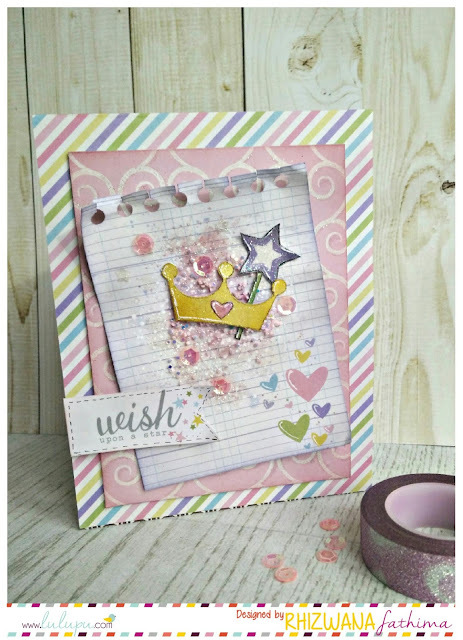 Fussy cut the crown & star wand images from the paper pack & heat embossed with clear sparkle embossing powder. I also embossed the swirls in the second layer with the same EP. Added wink of stella clear glitter & glossy accents, on some areas to add more sparkle & shine. For the sentiment, Made a banner out of the PP & mounted with foam squares. This card is super sparkly in person & I wish I could have captured it all in picture.! 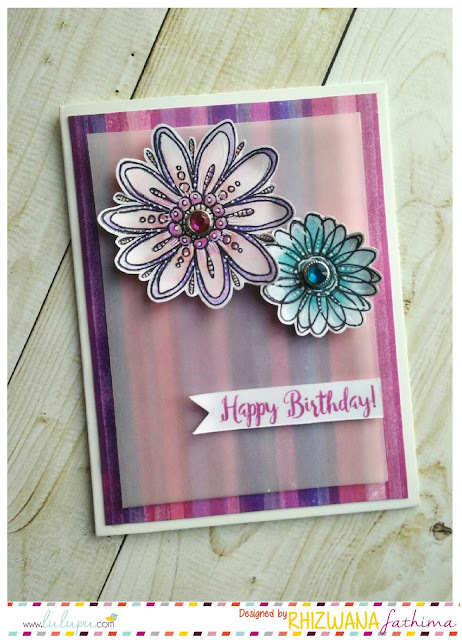 Here's another simple & fun card with a totally different look. 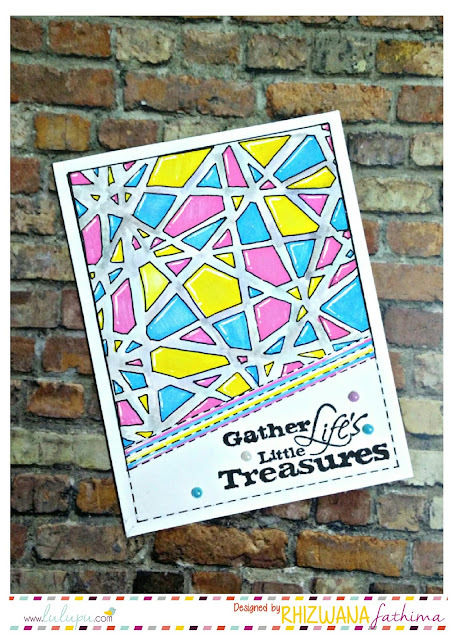 I used Mudra play with lines stampset & memento dye inks to create the striped bg. Added a layer of vellum & mounted the flowers & sentiment banner to finish the card. The flowers are from inkadinkado doodle flowers stampset, stamped with Archival jet black ink, colored with Zig clean color real brush pens & a gemstone brad added in the center. Hope you liked my projects. Looking forward to see your wonderful creations for the sketch Challenge .! Love your take on the beautiful Sketch, so girly and I love that golden crown and backing papers! Beautiful striped BG and uncolored stamping, pretty! Riz both cards are really beautiful! 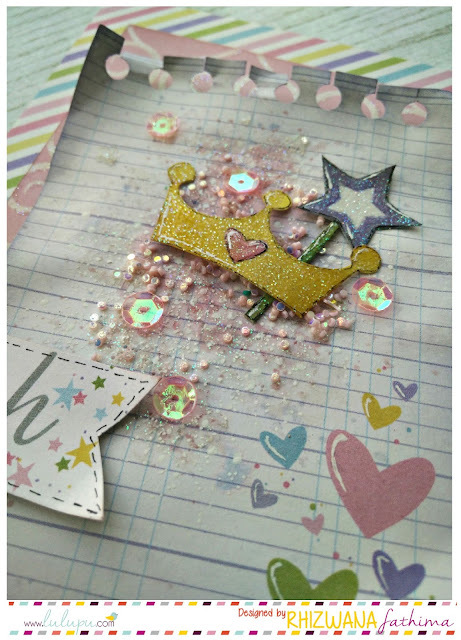 But I just loved the way you created confetti under tiara on first card. Simply outstanding!